Shah Rukh Khan All Set To Rule Again With 4 Major Releases, Here Is Everything You Need To Know! Shah Rukh Khan gave an impeccable performance this year with the film ‘Fan’. The film was a plot-centric one and could not garner large box office numbers. The movie was applauded for SRK’s acting skills, though. King Khan who gave a hit last year with ‘Dilwale’ was also criticized for not choosing films up to his caliber. Shah Rukh Khan is all set to impress everyone with his upcoming four major releases. The mind blowing actor will soon be seen opposite Alia Bhatt in ‘Dear Zindagi’. Though the superstar plays a brief role in the movie it is said that his character is very important for the film. ‘Dear Zindagi’ will release on November 25th, 2016. Nailing his versatile acting skills, SRK will be seen in the role of a dwarf in Anand L Rai’s next. The film is untitled as of now but its release date has been announced. The movie is all set to hit the screens on December 21st, 2018. The title of the film is almost on its way to the masses. The release date was announced on the micro-blogging site Twitter. 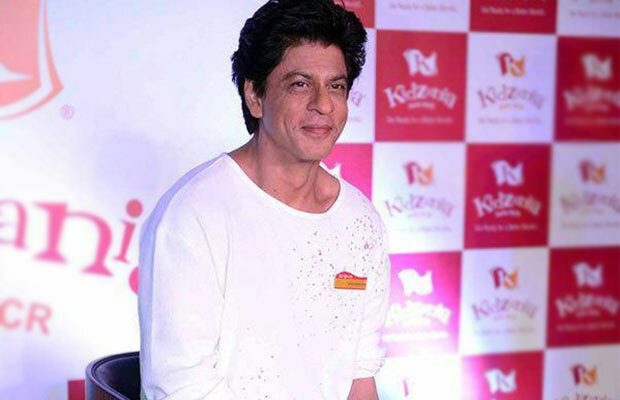 Apart from the dwarf film, King Khan is also gearing up for ‘Raees’. The release schedule of ‘Raees’ has already been shifted multiple times. The movie will release on January 26th, 2017. ‘Raees’ will see SRK in the role of a bootlegger. The movie is much awaited by the masses. Seems like, SRK has now captured all the upcoming years with humungous releases. After going slow for quite some time, the busy actor is again in the race with multiple releases. The superstar will also be seen in Imtiaz Ali’s next opposite Anushka Sharma. The shooting for the same has already started. The film is a love story. Imtiaz Ali’s directorial is scheduled to release in mid-2017. Well, with a bunch of credible films, Shah Rukh Khan is ready to rule the throne yet again! Previous articleAbhishek Bachchan’s Reaction To Aishwarya Rai Bachchan’s Ae Dil Hai Mushkil Smoking Hot Teaser! Next articleThere’s Lot Happening Over Phone Calls Between This Sizzling Bollywood Actress And Her Former Superstar Boyfriend?